This will prevent Zoe from sending you messages, friend request or from viewing your profile. They will not be notified. Comments on discussion boards from them will be hidden by default. Sign in to Goodreads to learn more about Zoe. We’d love your help. Let us know what’s wrong with this preview of Time by Penny Reid. We’d love your help. Let us know what’s wrong with this preview of Fake Fiancée by Ilsa Madden-Mills. We’d love your help. Let us know what’s wrong with this preview of I Dare You by Ilsa Madden-Mills. We’d love your help. Let us know what’s wrong with this preview of I Bet You by Ilsa Madden-Mills. We’d love your help. Let us know what’s wrong with this preview of Chasing Spring by R.S. Grey. We’d love your help. Let us know what’s wrong with this preview of On a Tuesday by Whitney G.. Preview — On a Tuesday by Whitney G.
We’d love your help. Let us know what’s wrong with this preview of The Studying Hours by Sara Ney. We’d love your help. Let us know what’s wrong with this preview of The Failing Hours by Sara Ney. 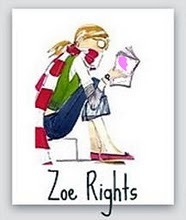 Zoe Right has read 127 of 400 books. Take a look at Zoe’s Year in Books. The good, the bad, the long, the short—it’s all here.